In May 2009, TRC signed a contract with Sonatrach, Algeria for the supply, installation and commissioning of the GR1/2 and GR4 Gas pipeline SCADA System, comprising of a total of 84 stations, in addition to a new Control Center at the National Gas Distribution Center in Hassi R'Mel. TRC has executed this project in Consortium with Groupe SM of Montreal, Canada, whereby TRC supplied the SCADA System, and SM coordinated the supply of the Communications System and Site installation. 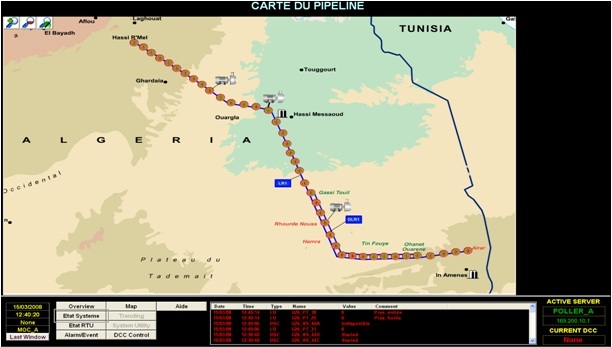 On February 2007, TRC signed a contract with SONATRACH for the replacement of a SCADA System for the DLR1 LPG Pipe Line, which runs from Amenas in the south of Algeria to Hassi R'Mel, the central Hub of all Algerian Pipelines in the center of Algeria. The SONATRACH LR1 / DLR1 SCADA System Upgrade Project consists primarily of the replacement of the existing pipeline SCADA hosts, the Redundant MTU (PLC 5/60) and the communication coupler at the central control room (Haoud El Hamra) and those of Arzew and Ohanet. In addition to this high-level data transmission work, the project includes the addition of temperature and intrusion detection instruments to be installed at the underground shelters along the pipeline and are monitored by the system. The upgrade also involves doubling the capacity of all the RTUs along the existing LR1 and the newly built DLR1 pipeline with all the programming required for all of this to function properly through the existing Telecommunications equipment. The scope of work includes re-furbishing the Control room at the HEH Control Centerl with new Control Desks and a Video Wall System. Sonatrach/Anadarko is another long time customer of TRC. 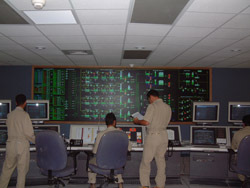 From 2001 to 2003, TRC successfully completed a turnkey SCADA System for 104 Oil production wells in the Hassi Berkine Oil Field operated by Sonatrach/AAC located in Block 404 in southeastern Algeria. TRC was responsible for the detailed system design, procurement, configuration, software development, system integration&testing, installation supervision and start-up. In the following 10 years, TRC received new contracts to provide additional RTU stations and associated system expansion as new wells were drilled every year. Currently, the system comprises of 11 gathering stations and over 220 Wells. The system is integrated with an ABB (Baily-Elsag 90)DCS System, and provides production data via a web server to all the clients engineering offices.